Middlebury College Dean Shirley Collado speaks Tuesday night at the Women’s Center about inclusion within communities. Collado’s keynote kicked off the center’s 2013-14 programming schedule. Middlebury College Dean Shirley Collado said Tuesday night that American colleges and universities have been focusing on all the wrong things to promote diversity in higher education. 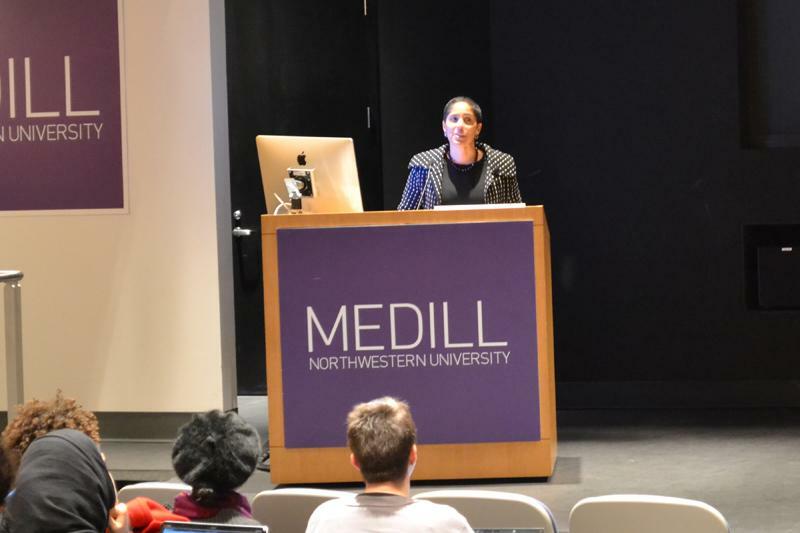 Collado’s talk was part of the Women’s Center’s Power and Privilege series, which aims to focus the Northwestern community on inclusion and equity. Her talk featured remarks from Burgwell Howard, assistant vice president for student engagement, and attracted about 30 people to the McCormick Tribune Center Forum. The focus on affirmative action and quotas, Collado said, has created a model that allows diversity issues to be addressed in cosmetic ways that are unsustainable over time. She cited the 2012 Department of Student Affairs Campus Climate Survey, which found that students view NU as a diverse but segregated campus. The focus on filling quotas to create diverse student bodies is not the same as creating an environment that gives all students the opportunity to participate, Collado said. She said campuses should focus on changing the discussion so students feel they both have a stake in solving issues of inclusion and have a voice in that solution. Collado cautioned against strategic plans that ignore the challenges of all students in favor of focusing on many identity groups separately. She said doing so will inevitably leave groups out and will isolate the student body as a whole from fully participating in conversations about inclusion. “We have to stand by students in the collective, and I don’t think that dilutes the time and attention we devote to students who have been historically excluded from top universities in this country,” Collado said. Collado pointed out that colleges and universities are for the first time having to justify their increasingly expensive price tags, pointing out that elite institutions like NU have a major role to play in proving that there is value behind their mission statements as issues of educational access garner more attention. Others, like Christina Avalos, thought the presentation was too narrowly focused. “It was an interesting perspective of how universities can change campus environment, but I feel like the real issue is in society,” the Medill senior said. In his opening remarks, Howard reiterated the importance of the University’s mission of connecting communities.